As the important material distributing center of Shanxi and Hebei province, the market in Datong makes you reluctant to return just as its view. Its featured specialties that tell the ancient story of Datong and witness its development of long history, are quite unique gifts to bring home. 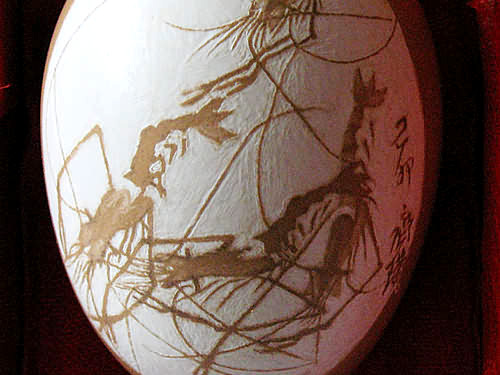 Bearing some resemblance to Easter eggs, Datong Egg Carving is done on hollow eggs and is ornately decorated with Chinese Calligraphy and classic Chinese painting themes. Corn husk is soft and flexible and good for plaiting. 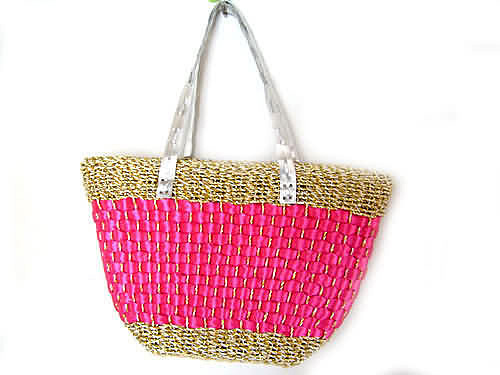 It can be plaited into all kinds of cushions, handbags and skeps. Because of corn husk plaited articles boast good elasticity and air permeability, they are very popular and earn more and more hearts. 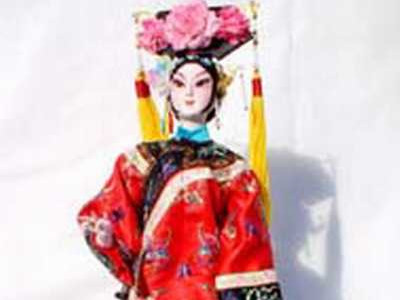 Datong has the custom of making silk dolls from Qing dynasty. It is a kind of proud skill for girls or women. Many famous characters in legend or theaters, which won universal praise, are embodied in silk dolls. Yun Gang silk doll is a good medium of spreading Chinese art and culture. The most famous handicraftsman is an old folk artist named Kang Qiaoling. She has made more than 300 hundred characters at the theme of Yungang Grotto and Shanhua Monastery, etc in Datong. They are very popular not only in China, but also in countries like America, France and Switzerland, etc.